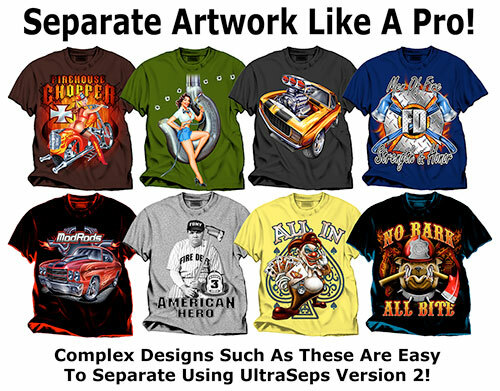 UltraSeps v2 is our premiere t-shirt color separation program for the screen printing industry. 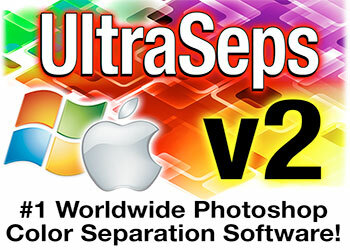 Now in its second release, UltraSeps v2 has become the most popular software of its kind in use globally. 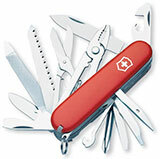 UltraSeps offers increased ease-of-use along with more features and accuracy than any other product in its category. Three different types of Simulated Process Separations, True CMYK Process, Index, Grayscale, Spot Color, Specialty Separations, Custom Color Channels, Fleshtone Generation, Auto Enhance, Photo Conversions and more…UltraSeps is the culmination of over 15 years of developing color separation software which began with the original version of QuikSeps in 1999. UltraSeps v2 includes an informative PDF User Guide, a 4 hour Training Video, Sample Images and more. View the slide show below for a list of just some of the features along with a 40 minute demo video at the bottom of the page. For further information and to download a fully functional 15 day trial version, visit the UltraSeps Website. 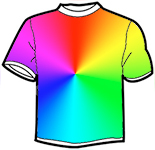 No Other T-Shirt Color Separation Program Offers So Much For So Little! 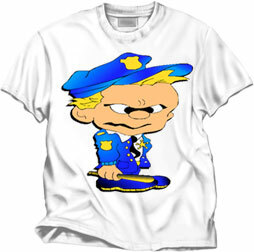 Setting The Standard In T-Shirt Color Separation Software….Once Again! Quite Honestly, It Doesn’t Get Any Better Than This! Yes…Its That Easy To Use! When planning to improve upon the original UltraSeps, I thought about it for several weeks until the eureka moment emerged. And that was to make UltraSeps v2 so incredibly easy to use, that virtually anyone with little experience could begin using it effectively just about immediately!End users can throw just about any file that can be opened with Photoshop at the color separation modules, set up in any fashion, including the ridiculous and UltraSeps will work its magic to process the separation. UltraSeps v2 is not only the finest product of its kind, but is also the most intuitive. Its Mostly Under The Hood! A New Simulated Process Function! As an added bonus with UltraSeps v2, we’ve included a completely new simulated process module called Sim Process #3. This module generates simulated process color using dual RGB channels. One a standard RGB and another with all the black and gray data removed.This type of separation can generate a fabulous job with many files, especially those that require bright greens, blues and slightly more red information. Yeah, you’ll like this too!So now, UltraSeps contains 3 completely different simulated process color separation modules! Try them all for a different look. 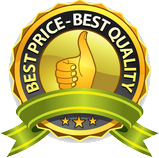 For Once, Best Price Does Equal Best Quality! 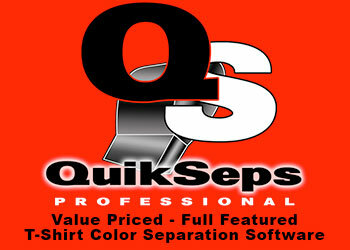 Just think about this for a minute, for the cost of about 5 gallons of quality ink, you can own the most feature rich, highest quality, well supported and industry standard t-shirt color separation software that’ll last forever!That bucket of UltraSeps never runs dry as it can be used for countless jobs, forever, saving and making you money. Plus, we also guarantee UltraSeps to be compatible with future versions of Photoshop as they’re released. The Features Are Almost Endless! By scrolling through the slideshow graphics above, its clearly apparent that UltraSeps offers everything one could possibly ask for. 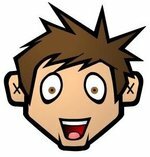 In fact, we didn’t include a few as its ridiculous to list them all!But of more importance than a vast number of features is the quality of the end result, ease of use and mind blowing automation built into this program composed of over 100 individual Java applications and Automation Plugins. Anything Is Possible With UltraSeps! 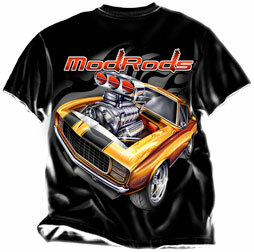 UltraSeps has the power, flexibility and ease of use to make complex, dramatic t-shirt color separations possible for the new user while offering Photoshop Pros the most advanced application of its kind to speed up the separation process.Basically, if a file can be opened within Photoshop, it can be utilized by every tool UltraSeps offers, so this includes everything! Enhance and repair images, modify the art and then choose from 8 different forms of color separation.Your life just got easier! Time Is Money, Don’t Waste It! Why spend countless hours laboring over separations only to discover once on press, there’s issues? 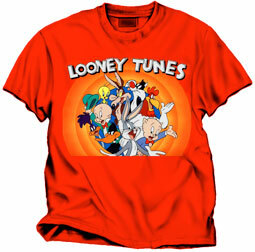 The largest apparel manufacturers in the world know that time is valuable and its the reason they use our software.UltraSeps removes the uncertainly and fear from the t-shirt color separation process providing the end user with the tools to not only generate high-end work, but also a level of confidence of knowing that, “yes, I can do this”. Great Even With Simple Graphics! For those thinking a high-end color separation program is only helpful with complex art, think again!UltraSeps is the ultimate separation tool with basic art as pictured here. Why struggle with CorelDraw or Illustrator on images containing gradients, many spot colors, images requiring underbases, highlight whites, etc.Just open your vector style artwork with Photoshop and let UltraSeps make easy work of it! A Partner You Can Rely Upon! 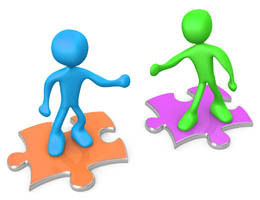 When you buy a copy of UltraSeps v2, you’re not just getting the finest software of its kind, you’re also gaining a “stable partner” that is always there for you. You can always trust that our products are fresh, new, exciting, innovative and not something outdated, rebranded, an overpriced “one trick pony” or just simply doesn’t work.If any questions arise or advice is needed, we’re just an email or call away. 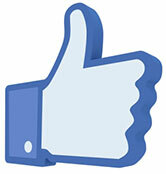 In fact, we have the reputation of providing the fastest and most knowledgeable support in the business! Don’t believe it, just ask around. Try UltraSeps v2 For 15 Days Free! Even if you’ve tried the original UltraSeps and it has expired, you can still try UltraSeps v2!Experience the power and learn more about the mind blowing features of UltraSeps v2 today with our evaluation version.See for yourself that nothing compares to UltraSeps v2 and why it needs to be included within your art department.UltraSeps v2 not only enhances productivity, but is an incredible asset to your business. Your competition may be using it against you!Don’t go another day without it! See What Our Users Are Saying About UltraSeps v2! We receive countless email and calls on how pleased our UltraSeps v2 users are with the software and how its helped their shops immensely.Click here to see just a small sampling of what’s being said!